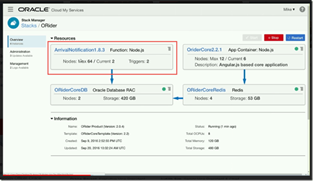 One of the interesting tidbits, somewhat hidden away in Thomas Kurian’s keynote presentation last week at Oracle OpenWorld 2016, is a new member of the Oracle PaaS Cloud Services family called Oracle Functions (or at least that seems to be the working title). 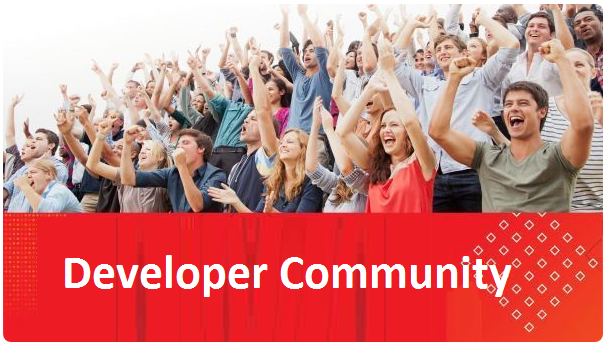 Oracle Functions are serverless applications that are run on the Oracle PaaS infrastructure when one of its triggering events has been published. The next screenshot shows a function as part of a stack. A stack by the way is a collection of components that are managed together – stop, start, scale, patch etc. – somewhat similar to AWS Formations. A Function is executed when one of its triggers occurs. Here we see a drop down list of the [sources for]trigger types currently supported. Among these are: the new Kafka Event Bus, the API Platform, the Database (DBaaS), the MySQL CS, Cache, WebHooks, events from Management Cloud (APM, Log Analytics) and messages on the Messaging Cloud. More trigger types are expected to be added over time. Read the complete article here.